What can acupressure do for back pain? Back pain and spinal problems are one of the most common complaints that individuals bring to their alternative health practitioner. This is probably because other than providing painkiller medications to treat the symptom, very little of the traditional medical establishment is capable of treating the general condition known as "back pain". Sure, they can take an x-ray and maybe even find out what's wrong with your back. But how often can they actually fix what's wrong and make the problem go away permanently, instead of just giving you temporary relief with medication? The good news about acupuncture, acupressure, and a few other alternative healing methodologies, is that they are often capable of providing relief for your back pain where normal doctors cannot. This is because acupressure and related energy healing techniques treat the cause of the problem, which is at the spiritual/emotional/energetic level, instead of just the symptom of pain which is at the physical level. 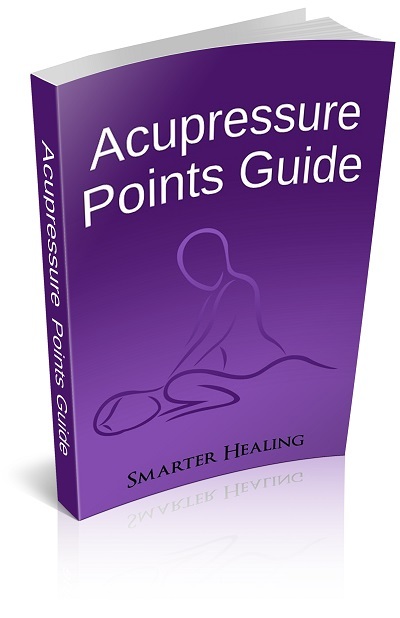 The following acupressure points for back pain will help stabilize your internal acupuncture meridian energies and promote healing of the real problem that is plaguing your body and causing aches and pains. 1. 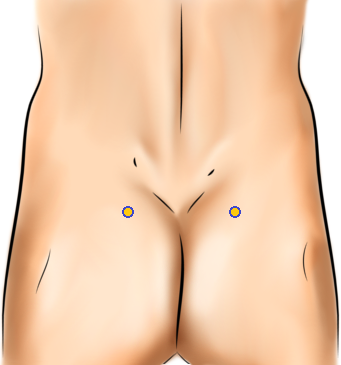 Bladder 23 and Bladder 47, on the lower back. These points help relieve lower back aches. They will also help restore your energy and get rid of fatigue that is caused by your back pain. If your back is especially weak, you should use light, gentle touch with only small amounts of pressure on these points. 2. Bladder 48, on the lower back, just above the buttocks. Applying pressure to this acupressure point will relieve your lower back pain and relieve sciatica and its pain. 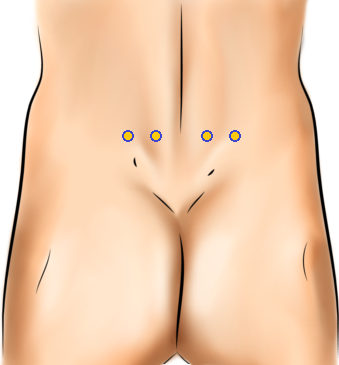 Pressure here will also help get rid of tension in and around the back, including pelvic tension. Finally, this pressure point for back pain can also help rid your body of hip pain as well, which is often associated with back pain because of how the hips adjust your body weight due to the back or spinal pains. 3. Conception Vessel 6, on the front of the torso, just below the belly button. Using pressure here will help strengthen your lower back and abdominal muscles. It can also be used preventatively to avoid many lower back problems. 4. Bladder 54, on the back of the knee, in the center of the knee crease. This acupressure location will relieve your back pain and sciatica (spinal nerve) pain, along with knee pain as well. It can also help relieves stiffness in the back, and will help get rid of arthritis and its pain in the knees, the back, and the hips as well.